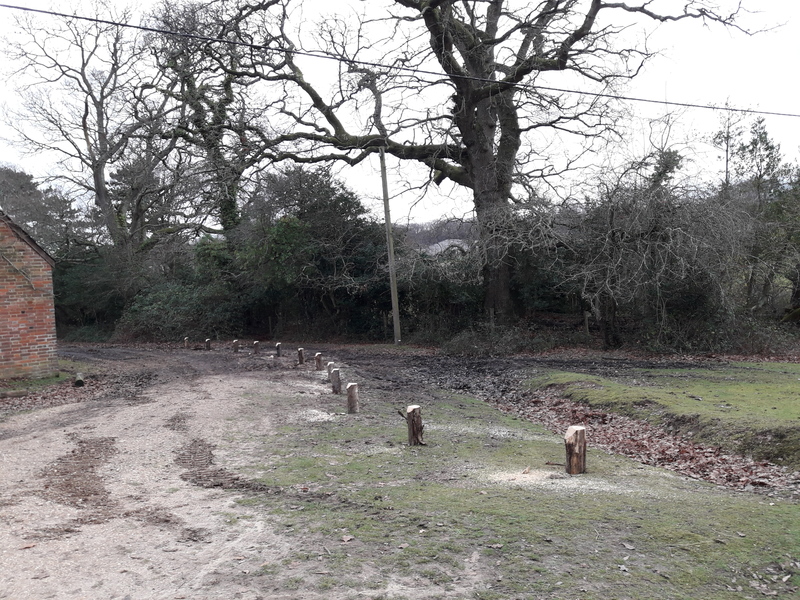 The HLS scheme is working to protect the New Forest’s habitats and grazing from the damaging impacts of unauthorised driving and parking along road verges. The works will restore areas of erosion caused by vehicle damage, essential under the Forestry Commission’s legal duty to protect the New Forest. Vehicle damage can cause serious damage to grass verges and have a harmful impact on their landscape, ecological and grazing value. Please have a look at the Verge Protection Leaflet for more information. 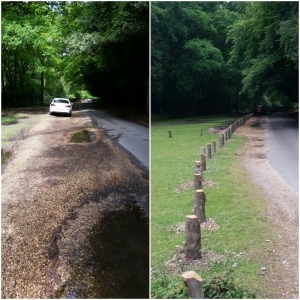 Residents can help by not parking on or driving over verges, and park within their own property, not on the forest outside their fence, and use designated car parks. Denny campsite – barrier and signage installed to prevent unauthorised vehicle access. Access through the barrier is for campsite and residential access only. Limited parking is available around the Warden’s Office from October to March – see map here. 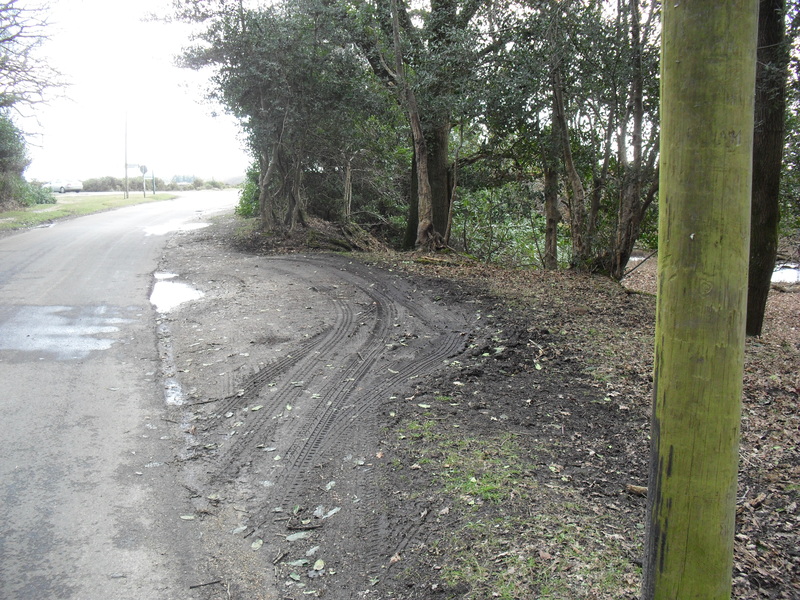 Kings Copse and Gatewood – both areas have now been ditched and banked with bank at roadside, restoring approximately two square kilometres of roadside verge. East Boldre, Pilley, Norley & East End – work will begin in East Boldre in week beginning 25 March 2019. Ashurst Lodge – work will involve closing off the eroded areas along the road which is access to private property only.